We’re hitting ice cream season early this year (global warming at work again, do you think?) with the newly opened American ice cream chain – Cold Stone Creamery in both the Ambiences in Delhi and Gurgaon. I think there is a special charm in eating ice cream in the winters. First, it doesn’t melt. Second, you feel like a warrior, fighting the odds. 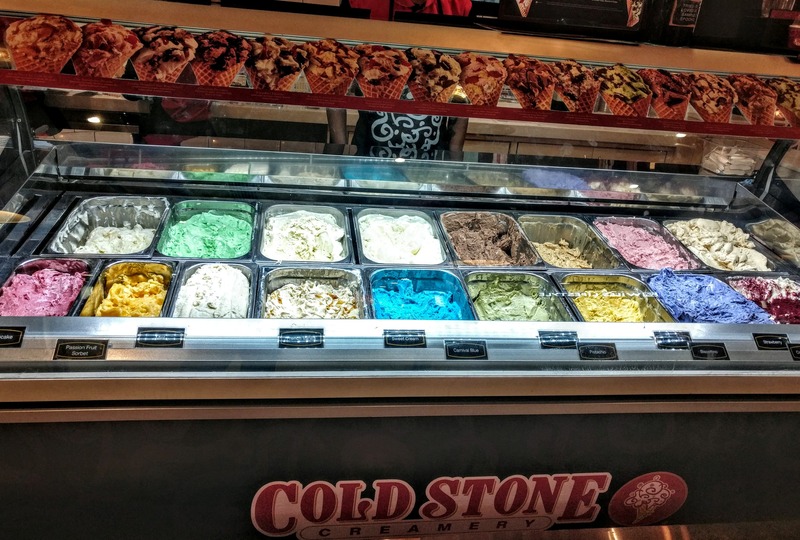 Cold Stone has been around in the US for about 3 decades now and has been rapidly expanding into other countries over the last few years, including our flavourful neighbours Pakistan and Bangladesh. The Creamery boasts of the famous frozen stone slab (on which ice cream is folded), often found in its natural habitat – Instagram stories. You can add your preferred toppings to the parent flavours and shuffle between waffle cone sizes, choosing from a list of ice creams already curated for you or freestyle and go crazy with your own combinations. Go on, no one is judging. For the lactose intolerant, there are a couple of tangy sorbets on display including Passion Fruit and Pomegranate. Those who are delusional enough to want to be healthy while in an ice cream shop, can fool themselves with smoothies or carry some ice cream home for a cheat day. There is something for everyone. Ice cream is very inclusive. When I walked into the Creamery, the employees simultaneously burst into a chorus of 90s pop music and kids songs. Though startled at first, I found myself humming along soon after. Now I do not know if I had the special privilege of being serenaded by ‘Old MacDonald Had a Farm’, but I sure have a new found admiration for live music with my cup of ice-cream.